Did you know that home values in the Dallas-Fort Worth metro area have gone up 8.3 percent over the past year? Real estate firm Zillow predicts home values will rise another 4.9 percent during the next year, too, making this a great time to buy a home in the area. 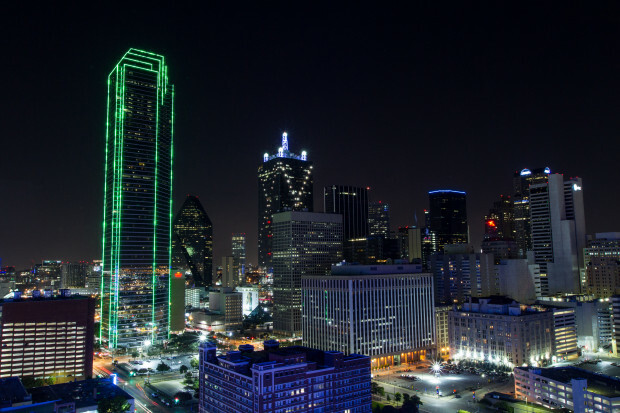 If you’re feeling the need for change, check out these three great Dallas neighborhoods. Downtown is ideal if you are seeking cultural diversity, trendy shopping or dining areas and educational attractions near your home. The city center is divided into 15 separate districts, offering more than 50 museums and galleries. In the West End Historic District, for instance, you’ll find the Dallas World Aquarium with awe-inspiring fresh and salt water exhibits not found anywhere else. The Perot Museum of Nature and Science is located in the Victory Park District. The museum has 11 permanent exhibit halls along with building and living space that acts as a living science lesson, plus a children’s museum nestled inside. The Dallas Farmer’s Market is a terrific place to take the kids to learn about healthy, sustainable foods and attend a cooking class or two. The median rent price downtown is $1,248. Those searching for a home in the area can expect to spend about $213,343. Arlington boasts a location about midway between Dallas and Fort Worth, just five miles from the Dallas/Fort Worth International Airport, and is best known for its recreational and sports attractions. Not only is it home to Six Flags Over Texas, an amusement park with rides galore, but the Dallas Cowboys recently built a football stadium there. Enjoy a self-guided tour of the AT&T stadium – imagine throwing passes on that famous field. The site also offers guided art tours, including in-depth information on the museum-quality contemporary art collection located throughout the stadium. Just across the street from Six Flags is the International Bowling Museum and Hall of Fame. This is not your father’s bowling alley; it’s a full museum where you can learn about the earliest days of bowling by exploring early Egyptian bowling games, current trends in bowling and play a game or two on Route 66 bowling lanes. Arlington is a family-friendly city; anyone shopping for homes there will find housing fairly affordable. The median sale price for a home in the city is $148,186; rents are $1,353 per month. Everything is awesome in Grapevine! Legoland Discovery Center has more than 35,000 square feet of space and two million Legos to lose yourself. And there’s Seal Life Aquarium, an underwater fantasy land where you can learn all about sea life through an interactive quiz trail. When you’re ready to slow down a bit, head over to the Grapevine Vintage Railroad to ride the rails along the Cotton Belt Route between the Fort Worth Stockyards and Grapevine. You’ll ride in Victorian-style coaches pulled by either an 1896 steam locomotive or a 1953 GP-7 diesel locomotive. Thomas the Train even visits his friends here occasionally and you just might witness a train robbery or two during summer months. The town is located just northeast of Dallas within the Dallas/Fort Worth metro. If you’re looking for short- term properties in Grapevine, plan to spend about $2,095 for a rental home while sale prices are $264,166. Regardless of which Dallas metro area you relocate to, the greater area is packed with inviting, family-friendly activities and attractions. Visit Zillow to explore homes on the market and available Dallas rentals within your price range.